We welcome Fr. Mario Amore as our new associate pastor! He comes to us from Our Lady of Sorrows, where he served for three years. Fr. Mario grew up in Woodhaven with his parents and older brother, Bob. He attended St. Pius X Elementary School and Gabriel Richard High School. Fr. 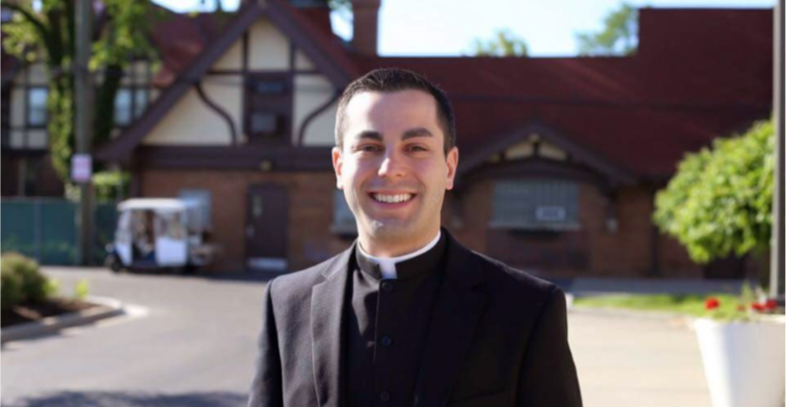 Mario has undergraduate degrees from Sacred Heart Major Seminary (Associates of Arts in Pastoral Ministry and Bachelor of Arts in Philosophy). 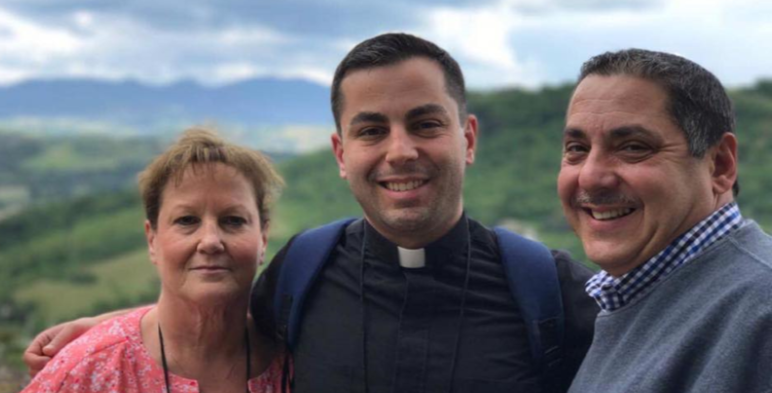 Additionally, he has graduate degrees from Sacred Heart Major Seminary (Master of Divinity), Pontifical University of St. Thomas Aquinas in Rome (Baccalaureate in Sacred Theology), and The Catholic University of America (Master of Science in Ecclesial Administration and Management). Fr. 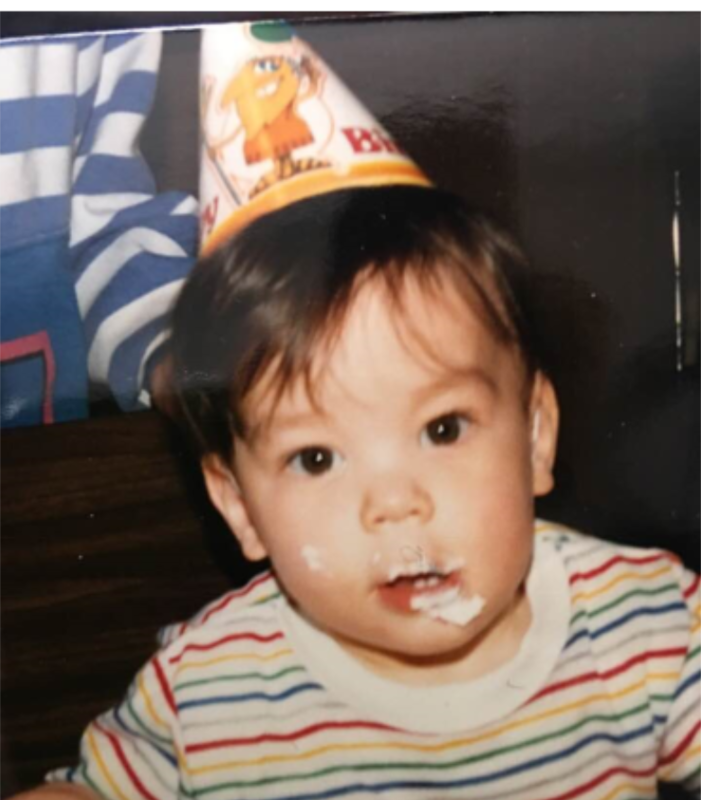 Mario on his first birthday. Fr. Mario with his parents, Mary and Bob Amore. Prior to entering the seminary, Fr. Mario worked at a few parishes in the downriver area as music director, playing piano and organ, singing, and directing choirs. What is your vocation story? When I was a child, I really didn’t like going to Church. In fact, I would do whatever I could to embarrass my family at Mass in hopes that they wouldn’t take me back the following Sunday. That never happened! My mom and dad never allowed us to miss and made it a priority to sacrifice to send both my brother and me to Catholic school for elementary and high school. I credit my parents and my Catholic education in laying the groundwork for my priestly vocation. In the fourth grade, I joined my brother in the ministry of altar server. 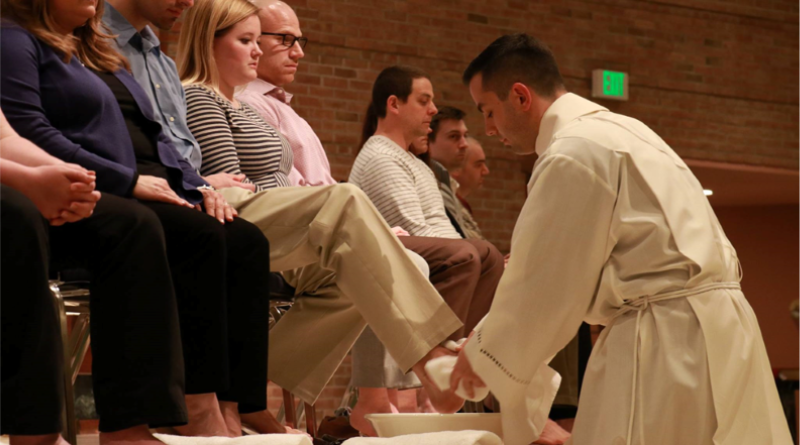 At a young age, serving Mass gave me a purpose and even a desire to attend Sunday after Sunday. Looking back, the interaction I had with priests and my close proximity to the altar helped me to start thinking, albeit quietly, about the possibility of serving God and his people as a priest. Fr. 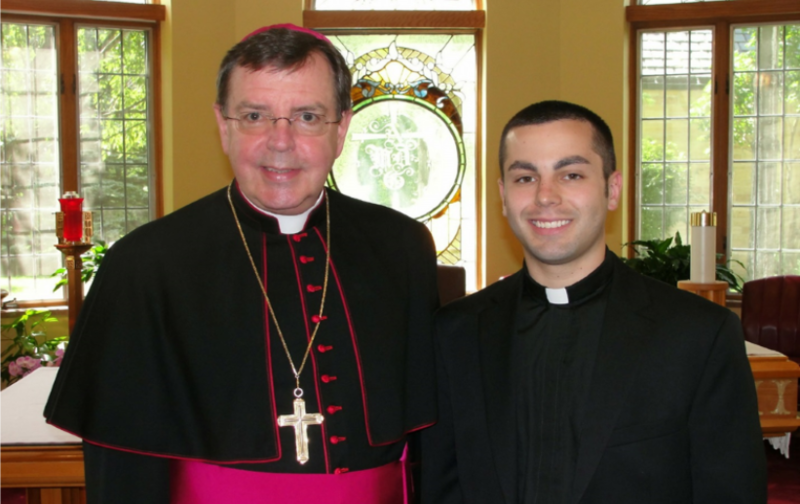 Mario with Archbishop Allen Vigneron, 2011. Following in the footsteps of my brother again, I started to get more involved with music ministry in my parish. Eventually, this ministry led me to start working for the Church as a parish musician/organist. I really loved this work, but I knew it wouldn’t ultimately bring me the happiness that God had planned for me. I could sense God asking me to do something more for him—to think and pray more intensely about becoming a priest. I dragged my feet for a while but was accepted to the seminary in 2009. After six years of study, I was ordained to the priesthood on May 23, 2015 and celebrated my first Mass the following day at St. Pius X—28 years to the date that I was baptized in the same church. My first priestly assignment was to Our Lady of Sorrows in Farmington, a community that remains very close to my heart. I like to play soccer, play piano or organ, and might one day even learn to golf. 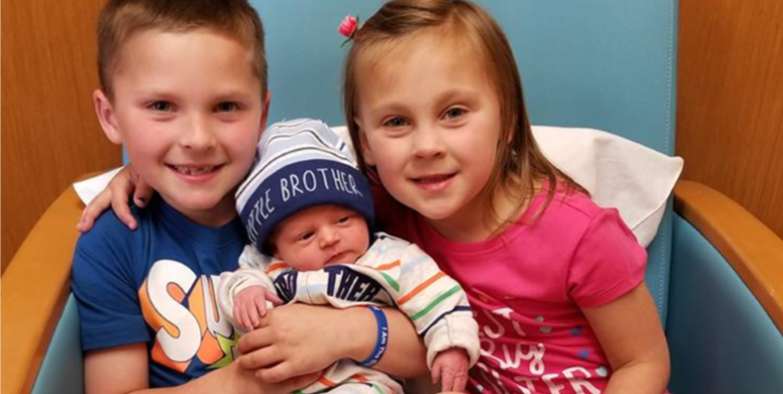 My brother, who is a police officer for the City of Wayne and also owns a home-improvement company, is married with three children and I really enjoy visiting my niece and nephews and spending time with my friends and family. Fr. Mario's nephews and niece. My parents, Bob and Mary. In their quiet ways, they led me to Christ by deciding to raise me up in the Catholic faith. They laid the foundation for my vocation to the priesthood by showing me what it means to love, sacrifice, and simply do what is asked of us. They have always been very supportive of me and encouraged me when I first began thinking about the possibility of the priesthood. Their selflessness paved the way for me to be the Christian man I am today, and I am eternally grateful. Do you have any other items to share? 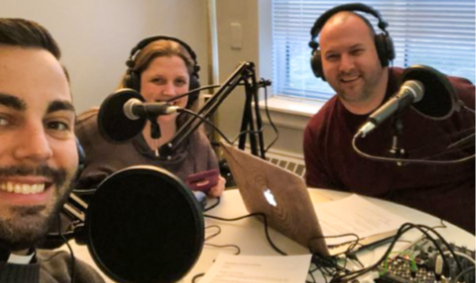 Along with two of my best friends, I’ve recently started a weekly Catholic podcast called “Certifiably Catholic.” Please subscribe and give us a listen! You can find us on iTunes, and Buzzsprout. We currently have listeners on every continent except Antarctica!